 My first psychic experiences, which I recognized as such appeared to be very disturbing. The unexpected vivid clairvoyant messages were about a loos and sudden illness of my loved ones. However, it got me into conscious realization that I can receive information psychically through the space and time with all the specifics. Despite the fact that I understood that I have a heightened psychic ability, I was not ready to accept it, mostly because it scared me. I did not know how to control it and I decided that... “I do not want to see”… However, even after that, when I was not aware of it, I still was getting random visions, usually concerning the future events of my life. Later in life, I met more spiritually educated people, which I shared my experience and thoughts with. Through them I found a lot of understanding and support. It inspired me to go for psychic certification and to learn about Akashic Record Soul readings. It was the first step I needed to make for the purpose to become more aware about my psychic skills and to start using them for the benefit of others. Everything in the Universe-our thoughts, emotions, temptations, actions, events, memories, beliefs, etc. is some form of energy and it has specific energy vibration. My heighten sensitivity to energy and clairvoyant skills allows me to read that energy. It was time to get more knowledgeable about human energy field and its complexity. After while I realized that these images are detailed expressions of energy one is running through energy centers-chakras representing different aspects of ones life. It was the time when I started to practice Chakra Energy readings in connection with Akashic Records Soul reading. The excitement came along with a hope that my clients will understand an encoded meaning of metaphoric symbols as well as the connection between their life challenges and their potential well being. My task was to explain, how ones energy field is affected by their own thoughts, emotions, belief system and reaction to the outer world. The most significant realization I came to was that – energy never lies. It didn't take too long till I started to notice that some of the metaphoric messages in addition to spiritual/mental/emotional information sometimes are caring information about the physical condition or physical disorder the one is experiencing. At this point I could offer more expanded and complete insight fully connecting one's Soul qualities, Soul purpose, highest Soul potential with one's personal perception of the world and how it is affecting his/her relationships and even physical health. I do not think that my psychic abilities changed over time. I think that after I stepped onto the path of my destined Soul purpose I became more aware of the gifts I was born with and achieved a deeper and more profound way to use them. I deeply support a belief that all human beings are energetically connected through the collective consciousness field, which holds complete information about life on the planet Earth, including our thoughts, emotions, temptations, intentions, etc.. Some of us, which are born with naturally higher level of sensitivity and energy perception than others, can consciously approach that subtle realm using unique skills and pull out the information which is stored in there. It is all about Energy Vibrations and the Frequency by which these energy vibrations could be precisely recognized and professionally “translated” into three dimensional human understanding.  According to my personal experience I found that people who inherited a very strong fundamental and stagnant belief system or are very religious most of time have some level of limitation when it comes to understanding the psychic phenomena. That is perfectly fine with me, because I think that everybody is on its own path of spiritual growth and evolution. Usually, I am cautious to share my psychic experience with those who I feel are not ready yet to hear about it. My Sun is in Taurus. In general I value beauty, peacefulness, stability and comfort. I am tempted more to observe than to act. However, I show myself to the world as Sagittarius, because it is my raising sign. I am always searching for deeper meaning and higher purpose in life. Having my Moon in Cancer allows me to experience heightened intuitive and psychic qualities. I have a deep passion to be working in the area of spiritual and emotional healing. First of all, I would like to admit that there are multiple applications of my readings. My clients have various backgrounds, belief systems and going through different life situations and challenges. It could be the one who is seeking a deeper meaning of his/her spiritual existence or one who is looking for way how to reach more harmonious level of challenging relationship: one who is trying to fulfill and expand its Soul Purpose, one who is about to chose a life partner or one who is reaching out for help to achieve spiritual/mental/emotional and physical well being, etc.. I am NOT looking into the past life events, past life dysfunctional relationships or one's mistakes. My readings are about present life, present relationships, present life lessons and the full potential one can achieve in this life time. The purpose of my work is to help others to understand who they really are at their deep Soul level, to go to the core of their life issues, to help them to understand why they are reacting/approaching world the way they do and how it affects them. I strongly believe that it may lead them into more conscious and healthier perception of their life and surroundings. Sometimes it is a hard work on both sides and I am looking at my work as a serious business. I see every Soul as being very unique and beautiful. My Akashic Records Soul reading is always positive and uplifting. I want everybody to realize that their Soul which incarnated into this world is caring a lot of Universal love and experience. Usually, I do not limit my sessions and stay until all questions are answered.